at, Ms Woodburn, there are nicer ways!!! It's not an April's Fool Joke! 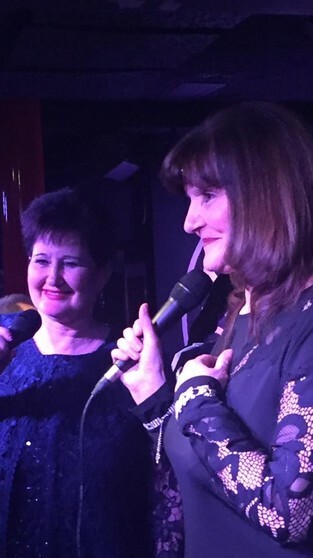 Blackpool's Viva Cabaret Venue hosted Linda Nolan's 60th Birthday party on February 23rd. Denise took to the stage and gave a storming rendition of "This Is My Life" The song earned her a well deserved stadning ovation. So thrilled were we all with the number that we decided to add it to this site and to the social media platform - You Tube. 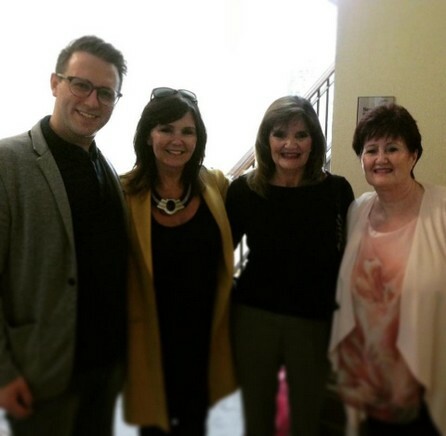 The Nolans, including Denise also sang that night. 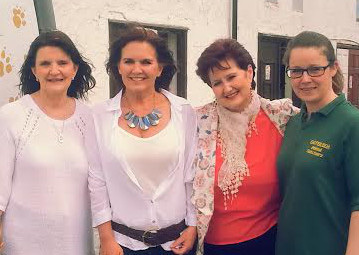 All five Sisters and both Brothers sang "The Way We Were" in a specially composed version of the song to pay tribute to sadly missed Bernie who dies in 2015. The song was met with thunderous applause and a standing ovation. 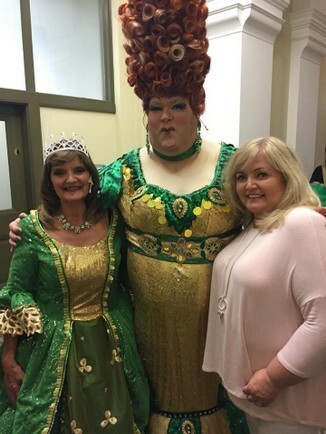 Denise attended the press night of "The Wizard Of Oz" last week. 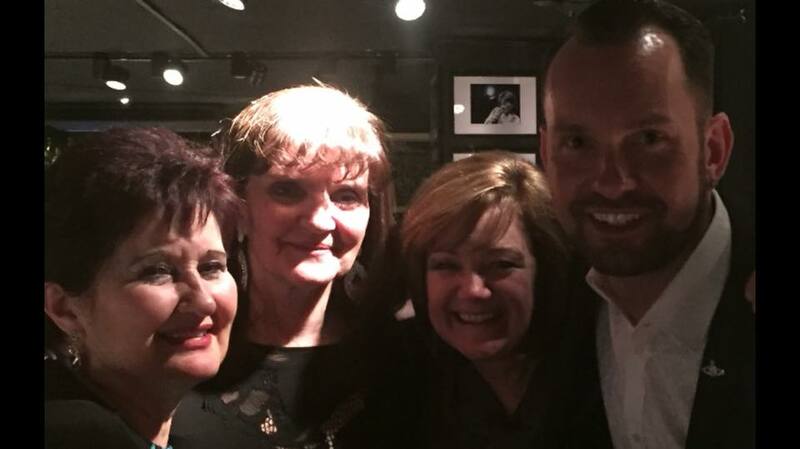 She was invited along with 20 other members of the family to attend the VIP and press night for the show. Afterwards Denise was asked to film her reaction to the show which she highl recommends. Denise was complimentary about the show "The sets were so lavish and everyone worked so hard. 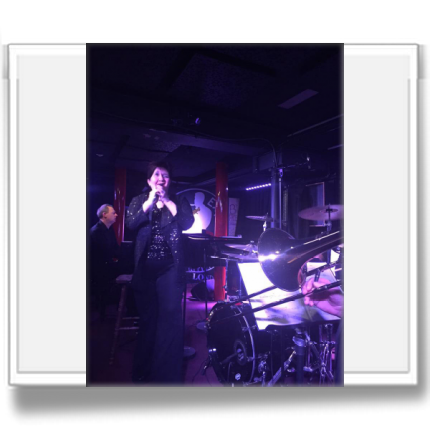 All the performers sang really well, it was a joy to watch." Blackpool was chosen as the premiere venue for the show which has received rave reviews. 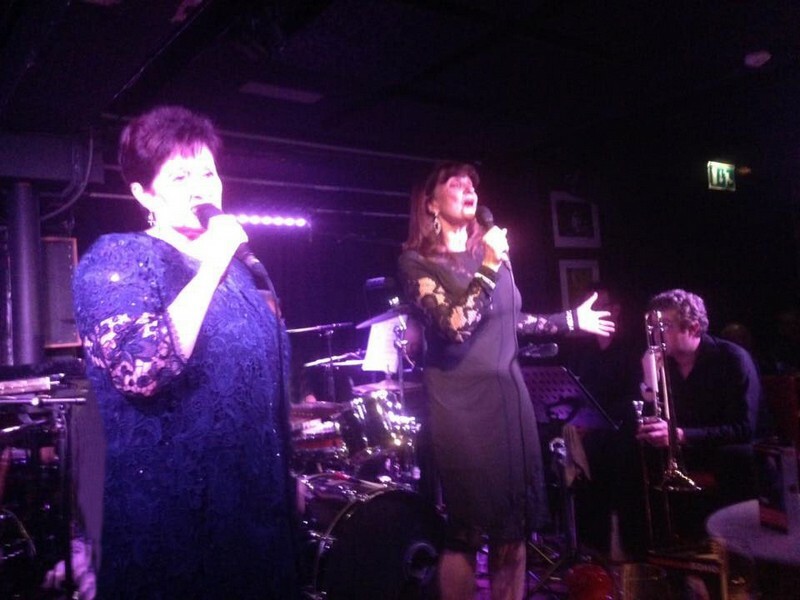 Denise will be starring in the Rat Pack Christmas show at Fleedwood's Marine Hall Theatre. The show has been selling very quickly. At present there is less than 100 seats left. So get in quickly and book. The Rat Pack Tribute show pays tribute to the works of Frank Sinatra, Sammy Davis Jr and Dean Martin. 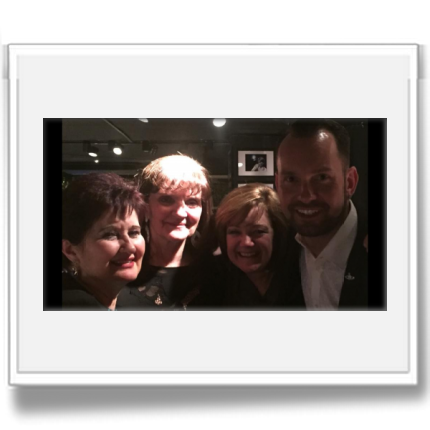 Denise's own part will see her salute Judy Garland. She has been working hard for the part and is set to sing the Christmas favourite "Have Yourself A Merry Little Christmas". The enue is using table seating to ensure an intimate setting. Tickets are just £18. Tables of ten receive a discount of £2 per person. We hope to see you at the show. 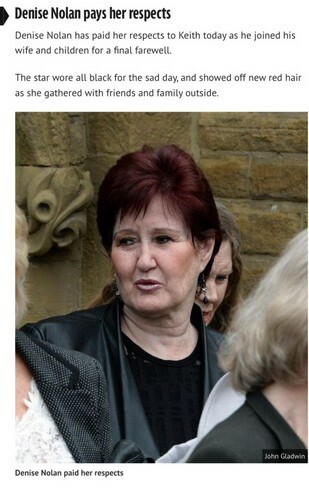 Denise decided not to do Panto this year. ANOTHER FIRST FOR OUR SITE! We are never far away from technology on this site! We were the first Nolans site to offer both a mobile website and a desktop site. This was a pretty good way for users to choose the amount of data they were using. 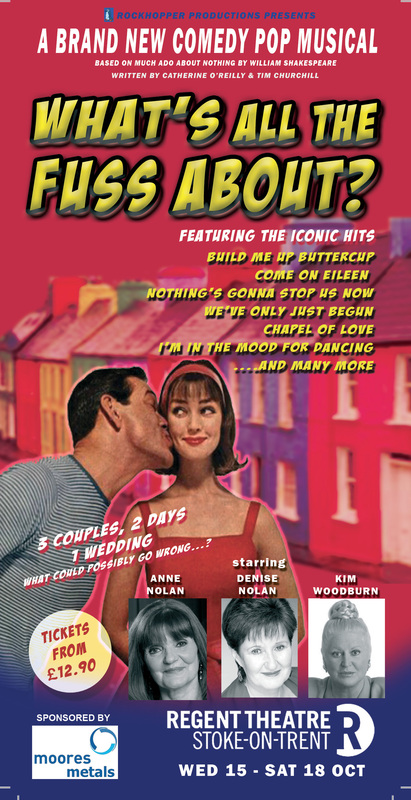 Now we are first AGAIN among Nolans sites iin bringing you a fully responsive site. This means that whatever device you are viewing the site with, be it a mobile smartphone, a tablet, PC or laptop - this site will automatically work out itself and change accordingly. Whilst you may see all the relevant information on a phone - we always recommend that you view the site on a tablet or larger screen to enjoy the graphics in their fullest way. In any case, we are delighted that you are able to enjoy the site more. We have also had a redesign of the interface. The gold and yellow site was not so friendly on smaller devices. The new red and black, we feel, works better - and it looks hot!! FACEBOOK is not a place that Denise is familiar with, apart from the fact that more than once people have tried to be her on it, she feels that she is aready hooked on other Social Media. But the Webmaster here has been inundated with messages from fan club members of yesteryear. So we decided to give a uniques group a chance. Now - if you are one of the ORIGINAL fan club members. This means up to when Poppy Stephenson relinquished her role, then we would LOVE to welcome you. Poppy is one of the groups regulars and we have all been having a ball - You don't need to prove that you were a member, but it would help if you were. The young fans seem to have their groups and us oldies felt that we wanted a place where we could hang out! We have tons of videos(That you won't see anywhere else) loads of chats and comment. 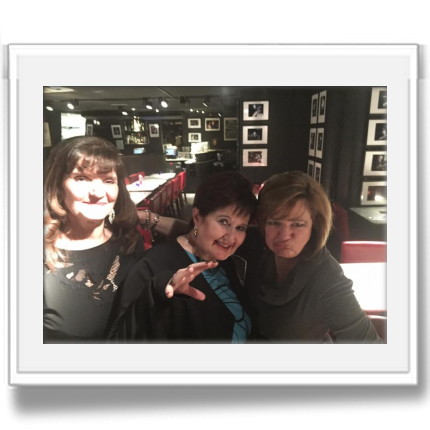 If you go to Facebook (registration required) and search The Nolans Orginal Fan Club Members - Request to join and we will see you there!! (Opens in a new window) You can go directly to the group by clicking the Facebook logo below. Today we launch the Bernie Nolan mirco site. The site, within this site, is designed to pay tribute to Bernie's career and life. To make the microsite more interesting we have made an interactive time line of her professional career. You simply click a year and a pop up will show you a snapshot of that year in her life. The pop ups are colourful and time relative with their design. We felt that it would be more interesting and fun to have pictures and graphics rather than just a load of words in a row next to a year. As well as that feature we have a gallery of her professional life with a couple of pictures from her personal life too - there's almost a hundred pictures on the slideshow - so make sure you are in a wi - fi area!! Finally we have Denise's own tribute in words to Bernie. we hope you enjoy the microsite - We have enjoyed making it - Keeping our site the best place around!! 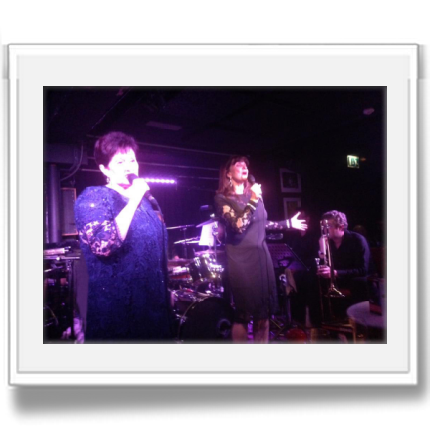 Denise Nolan made her Soho debut on Monday of this week at the prestigious Jazz Club on London's Dean Street. 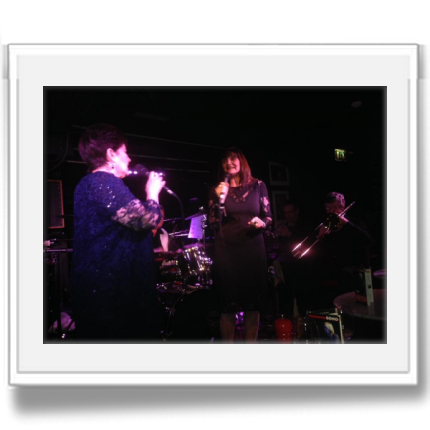 The concert saw Denise reprise her critcally acclaimed Magic Of Judy Garland Show, a show that Denise hasn't produced for thirteen months. 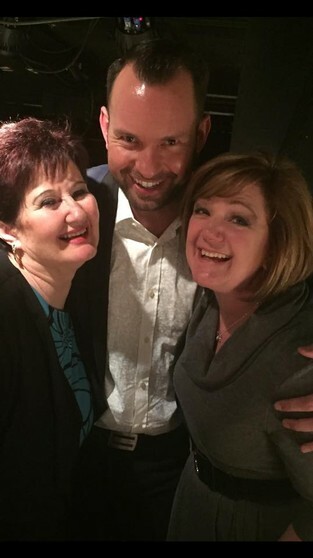 Denise is known for stage fright and that can't have been easy knowing that the venue was a total sell out. 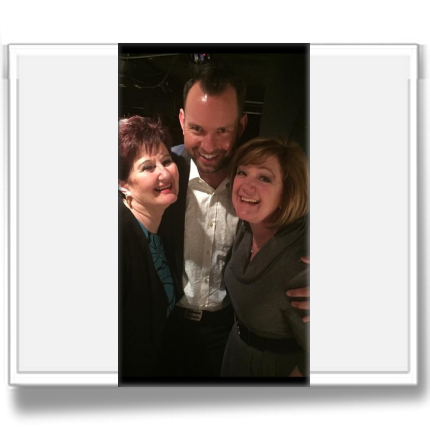 Nolan fans, friends, family and jazz devotees made up the crowd. I don't llike stereotypes but Nolan and Garland put together usually means a gay crowd too. Denise used her seven piece 'Rainbow Orhcestra' who played the Overture with great skill. Denise's own two hour show was simply stunning. 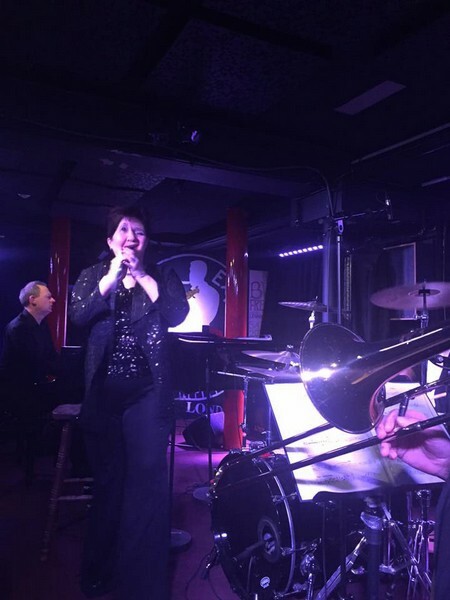 Up tempo songs given the full throttle and gentle ballads received a tenderness that was well suited to the solo piano accompanyment of Musical Director Dave Bintley. The orchestra played exceptionally well. The sound would have been improved had the piano had more volume. But from the audience's point of view, none of that mattered. Nerves were on display with her patter when her microphone was visibly shaking. This was not on display one bit when she sang though! A potted biography, peppered with jokes filled in several of the mumbers, giving us a little knowledge of Garland and Denise a chance to catch her breath. The show itself features the original score from Garland's 1961 Carnegie Hall Concert, which is regarded by many as the greatest concert performance of all time at that illustrious venue. 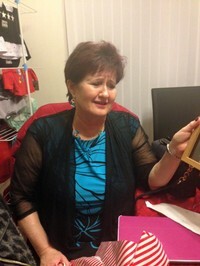 Although Denise sings the songs she is not trying to impersonate Garland. She sings in her own style which is impressive to say the least. The applause thoughout the evening was spontaneous and she was greeted with real enthusiasm by the crowd. Denise took time to mention several of her friends and family in the audience. Even well known fans were not excluded. This made the concert seem even more intimate. The audience actually mixed well with each other and at the interval their seemed to be a social gathering feel about the event. 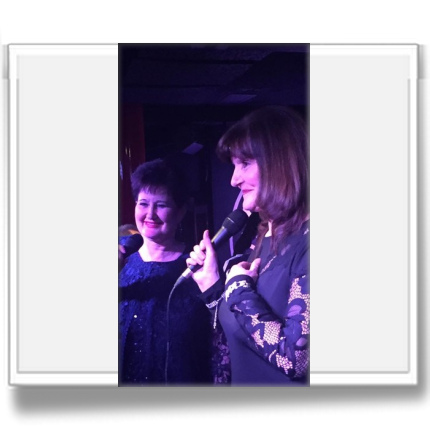 Highlights included 'The Man That Got Away' and 'Somewhere Over The Rainbow' But the show stopper was the moment when Denise called her elder Sister, Anne, on to the stage. Together they performed a medley of 'Get Happy' and 'Happy Days Are Here Again' which is sung in counter melody. Which, for those who don't know, is two different songs, sung together at the same time. 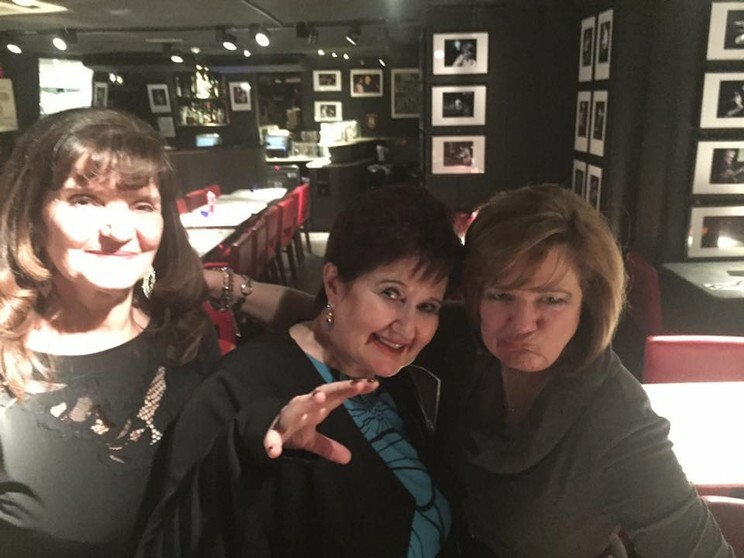 The audience did not have to be asked - they jumped to their feet and cheered at this reunion of two of the original Nolan Sisters. 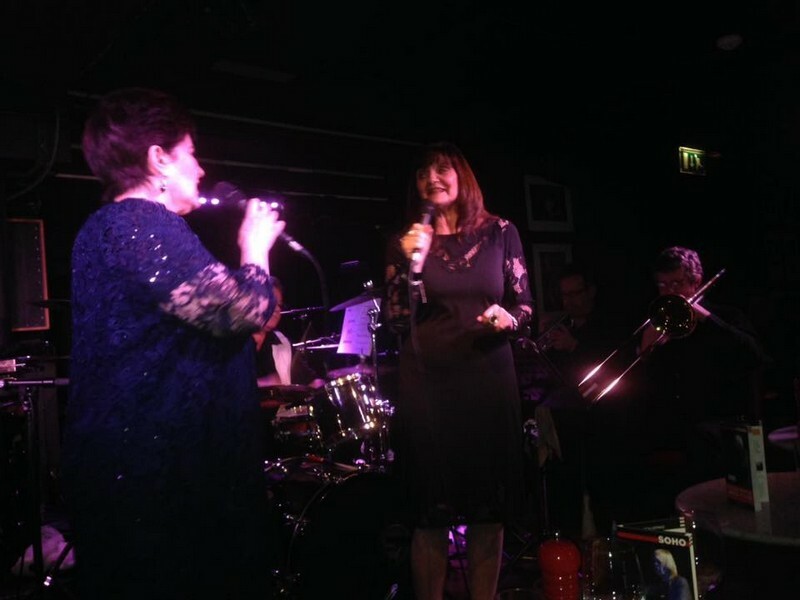 Some of the audience broke into an impromptu version of 'I'm in the mood for dancing' Although slightly inappropriate, given that it was a jazz club, it does show the affection that fans have for the Sisters. At the end of her barn storming show the audience rose to it's feet in unison. Denise did not even manage to exit the stage before being brought back for her encore. Denise sang like I have not heard her sing for years. I later commented to her that "You were on fire tonight Den" this was not sycophany - this was my genuine feeling. Denise does far too few of htese concerts. But if she is doing one in your area - make sure you go to see it. You won't regret it. We have decided to launch a mobile site because it has been reported that since 2015 more than 50% of internet users access the web solely by mobile or tablet. A full desktop site uses much more data and people with phones who use the site will find that visitiing it can eat into their monthly allowance. Photo and video are particularly greedy! Of course, we have no intention of closing the desktop site down. They will run intandom. Thus, we can offer users a better choice. Users on the move will now be able to get the basic information such as news, biographies and Den's blog much easier. The domain name wll remain the same and a simple click once there will direct users to the main site. 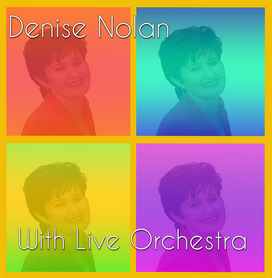 Denise is delighted that her site will be the first Nolans site to offer this dual service. She feels that her web site is "Hers" and she knows that whatever goes into it is the only place she can give her voice without editing! She hopes yoou enjoy this new, exiting venture. Denise - Coming to terms with technology! Family, friends and fans have paid tribute to ventriloquist Keith Harris, who was remembered at his funeral as "a truly, thoroughly decent man". The popular children's entertainer took centre stage at the service rather than his puppet duck, Orville, who brought him fame in the 1980s. At the height of his popularity, he was a regular on Saturday night television and put on private performances at the third birthday parties of Prince William and his brother Harry at the request of Princess Diana. Denise worked wih Keith on mny occasions, incluing a Summer Season in Ayr and several pantomimes. Denise recals with fondness, saying. "He was a total pro. A very good act that his audience adored. I know he had a troubled patch but he has been on top form for years. His loss is a great loss to showbusiness." Several of his contmporaries attended the service at Sacred Heart Church in Blackpool, including Frddie "Parrot Face" Davis, Jimmy Cricket, Bobby Crushand Coronation Street Star, Ken Morley. Several fans attended and floral tributes came from many showbiz names including Little Britain star Matt Lucas who wrote: "Thinking of you and your family", while the Nolan family wrote: "Some people need no memorial, but a world made better by their lives. For Keith, a great pro, fantastic talent, a lovely man who will sorely missed. It was a pleasure to have known and worked with you." Keith died in April this year. Denise, and two of her Sisters, Anne and Maureen, have pledged their support to save a threatened animal sanctuary. The Easterligh Sanctuary faces a bleak future and will soon have to leave it's site in St. Annes following a row over the tenancy. Despite a huge fund-raising drive to generate cash to buy a new HQ, the centre is still £80,000 short of its target – and faces a final court hearing next month to decide its future on the land on which it currently stands. Around 50 animals, including cats, dogs and horses, face having no home while 16 staff look set to lose their jobs if the centre closes. Now Blackpool-based singing stars the Nolan sisters and comedian Roy Chubby Brown have lent their voices to the fight to save the centre. Denise Nolan said: “We are sure that Easterleigh’s plight will resonate with many people and they will be sympathetic to it but they really do need a miracle here. “It is very easy for us to forget in our ever increasingly busy lives but we are really asking the local community to step up and try and help to save Easterleigh; an impressive, inspiring and something to proud of here on the Fylde coast. The founder Mandy Leigh and the team behind the sanctuary have dedicated their lives to this cause and made many sacrifices over the years. It simply must go on. Sister Maureen added: “We are all animal lovers. Both myself and Linda have dogs and Coleen also has horses and we will certainly be doing our bit to try and save this place. The founder of the charity, Mandy Leigh, said she has been forced to put her home up for sale in a bid to generate cash to buy a new sanctuary – but estimates she is still tens of thousands short of the amount she needs. Mrs Leigh said she has been astonished by the response to the sanctuary’s plight – but revealed it now faces a “gloomy” future. THE NOLAN SISTERS SINGLE FOR DULUX VIDEO - AGAIN!! The Nolan Sisters originally released "Love Transformation" in 1977 as a single. The song, with Denise singing on lead vocals, was initially used anonymously as the soundtrack for a Dulux TV Advertisement. Although not a commercial hit the song did sell fairly well compared to other Target Singles. It has now reappeared as part of a Video promoting Dulux Paint once more. 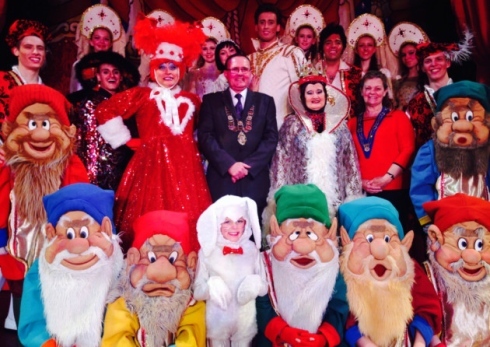 The town’s new Mayor, Stephen Ardley, made a special visit with his wife Maria to watch this year's Pantomime at the Marina Theatre on Saturday night before heading backstage after the performance to meet some of the cast. After the show the Mayor met some of the principle cast members, including Blood Brothers star Denise Nolan – who is playing the Wicked Queen – Snow White, played by Georgia Phillips, and Jon Moses, who stars as the Prince. The show runs until Saturday January 3rd. The freezing Lowestoft weather didn't dampen the enthusiasm of the crowds or the mood of the cast of this year's Panto for the 'Meet the public' event, held outside the Town's Marina Theatre. Publicity manager at the theatre, Karen, told us that the show was "fab" she went on to tell us that so far the show was up 24% on last year. "The people of Lowestoft tend to be later with their bookings, they usually wait for reviews and word of mouth before they book, so I know that this show is going to smash all records if we are already 24% up" she claimed. Denise told us that she had taken her script with her on a recent trip to America and that she knew her part well. The show has many dance numbers and Denise has had to learn the choreography for four numbers. "I haven't had this many routines to learn for years" she informed us. "I am nervous, of course, dance routines are not normally my forte!". However we know Denise is showing her customary modesty. Co star Jon Moses wrote on Twitter last week "Denise Nolan is the PERFECT Queen"
Denise Nolan launches her new look website this week. The new look site is timed to match the launch of this year's panto season. The webmaster of this site tries to ensure that Denise's site is kept up to date, accurate and keeps up with trends. Every year we design a completely new site for Denise using the very latest styles and designs. We believe there is no better source for information about Denise anywhere. We are also happy with the success of our website's biography section which has been used extensively throughout the web. One of Denise's favourite colours is purple and that is reflected in her site. We do hope you like the new look and that you continue to support us and Denise. Thank you for the many many e-mails and letter we receive. It's always great to hear drom you all. ITV Superstar finalist, Jon Moses and Britain’s Got Talent impressionist, Philip Green. The panto will be produced by Paul Holman Associates - The award winning team behind last year’s record breaking 'Cinderella', and it will run at the town’s Marina Theatre from December 16 to January 3. Paul Holman Associates said in their recent press release "Having shared the stage with Frank Sinatra, performed Christmas specials with the Two Ronnies and Morecambe and Wise, sung with Tom Jones, Stevie Wonder and Engelbert Humperdink, glamour, glitter and an evil serving of wickedness are promised as Denise Nolan is set to leave audiences spellbound with her portrayal of the ultimate pantomime diva as she stars as the Wicked Queen in the fairest pantomime of them all. 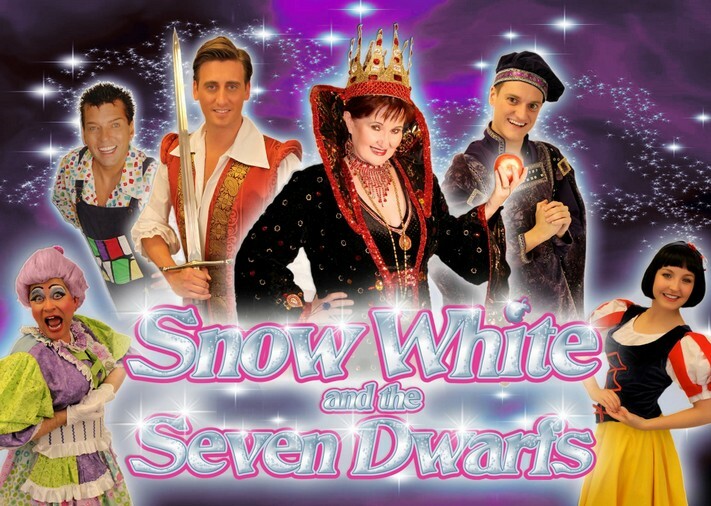 Denise’s first steps into panto land saw her starring as the sweet and fair Snow White, not once but fifteen times, culminating in a hugely successful season at the London Palladium before hanging up Snow White’s dress and waving the wand of Fairy Godmother or casting a spell as Wicked Queen, in more recent years. She took the West End by storm with her portrayal of Mrs Johnston in Willy Russell and Bill Kenwright’s hit musical 'Blood Brothers', before touring with the production for four years. 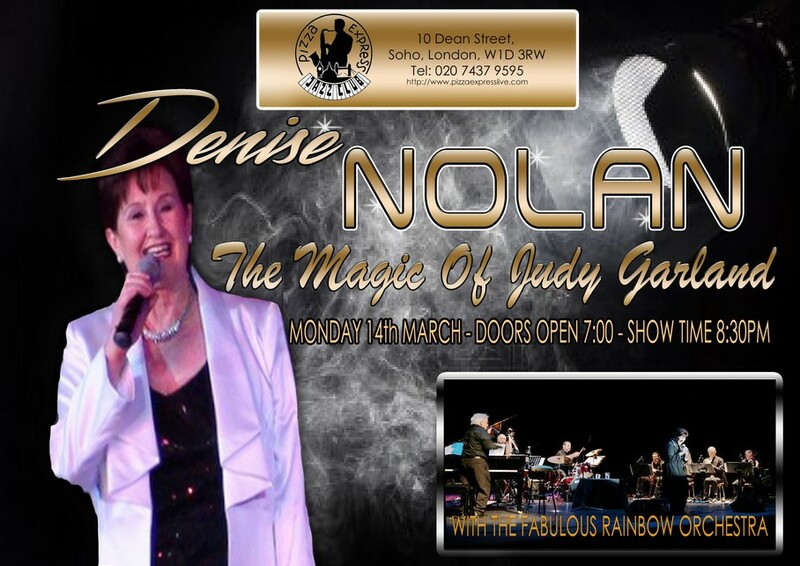 Her successful Judy Garland Show, in which she uses all the original music and orchestration from the Judy Garland show at Carnegie Hall, has played in all the major concert halls in the UK to great critical acclaim and of course, everyone remembers Denise from her success with her sisters in The Nolans. Playing the part of the perfect pantomime Prince, Jon Moses first came to public attention in Andrew Lloyd-Webber’s TV search to find a Jesus for his arena tour of his box-office smash, Jesus Christ Superstar. He sang his way into peoples’ hearts as his journey from his roots in Northumberland through to Lord Webber’s boot camp and live finals was played out nightly to millions of ITV viewers. The charming and charismatic singer went on to impress judges and the public and since then then he has won a legion of fans across the country with his amazing vocals and his warm, engaging and enthusiastic personality. Joining Denise and Jon on stage will be actor and impressionist Philip Green Having made it to the semi-finals of Britain’s Got Talent, Philip first started his impressions at school where he often impersonated teachers, pupils and celebrities and after three years hard study at The Arts Centre in Guildford he graduated in 2011 and took his first professional stage performance. During the Summer of 2012, Philip performed in the opening ceremony at the London Olympics before the perfect opportunity to showcase his talent to the nation in front of Simon Cowell, Alesha Dixon, Amanda Holden and David Walliams in a memorable routine which included impressions of Natalie Cassidy, Stacey Soloman and eye watering splits. A spokesperson for the Marina Theatre added, “We are delighted to announce such a strong and talented cast for our pantomime this year, following the record-breaking success of Cinderella, we are pleased to once again be working with Paul Holman Associates and our audiences can look forward to a fantastic family show packed with great music, comedy, dance and glittering costumes when the production opens on 16 December.”The comedy line-up is complimented by comedian and entertainer Rik Gaynor as Muddles with Joe Standerline as Dame Dolly Dumpling. Taking the title role of Snow White is Georgia Philips. Following the phenomenal success of last year’s production, which saw audiences rise by a record breaking 27%, tickets have been held at the same price this year with numerous discounts available for groups, schools and families available throughout the run. For more information or to book seats, please call the Marina Box Office on 01502 533200 or go to the venue website (www.marinatheatre.co.uk). 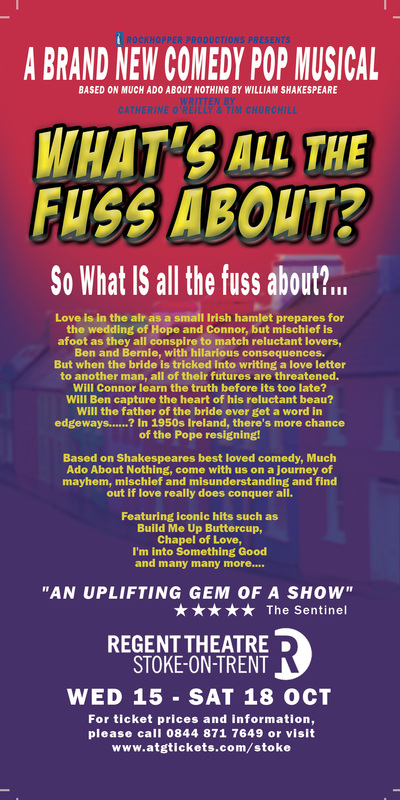 Love is in the air as a small Irish community prepares for the wedding of Hope and Connor,but mischief is afoot as they all conspire to match reluctant lovers,Ben and Bernie,with hilarious consequences. But when the bride is tricked into writing a love letter to another man,all of their futures are threatened. Will the father of the bride ever get a word in edgeways .........? Based on Shakespears best loved comedy, Much Ado About Nothing,come with us on a journey of Mayhem,Mischief and Misunderstanding and find out if love really does conquer all.